The Linkedin blueprint for landing your next job. 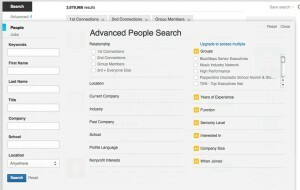 Linkedin boasts a global network of 365 million users, with 115 million in the USA alone. 25% of recent growth is outside of America and there are no signs of this social media site slowing down. In today’s digital world, it is imperative to have an online presence reflecting your personal brand. If you don’t, you will easily be dismissed. If you aren’t on Linkedin, then you don’t exist. 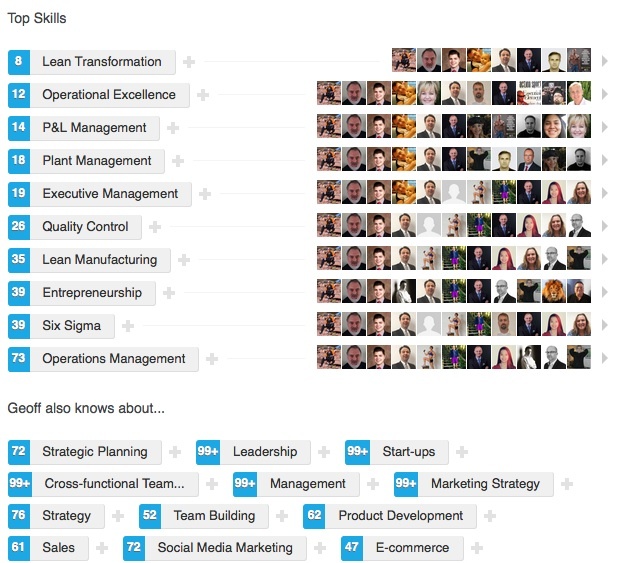 Nearly every recruiter and hiring manager is on Linkedin seeking to fill roles. 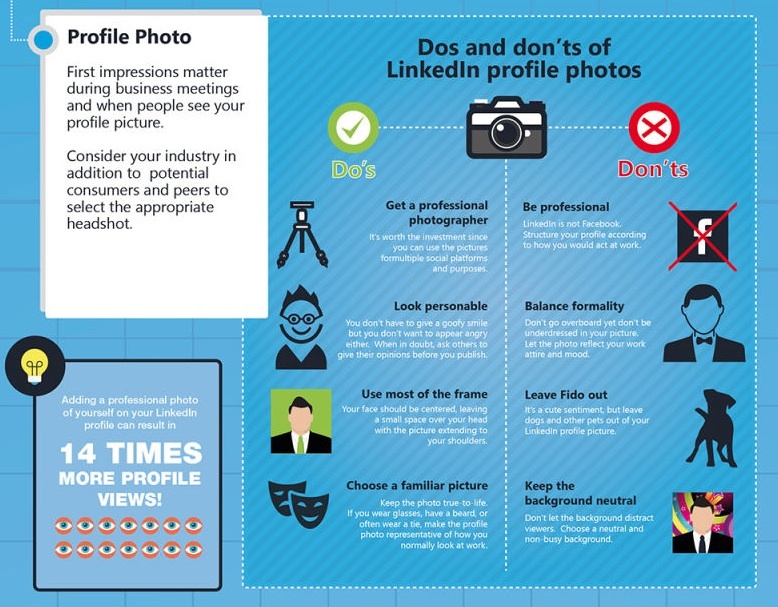 Linkedin is an easy platform to setup and one that provides numerous benefits from networking, job search, business to business, etc. 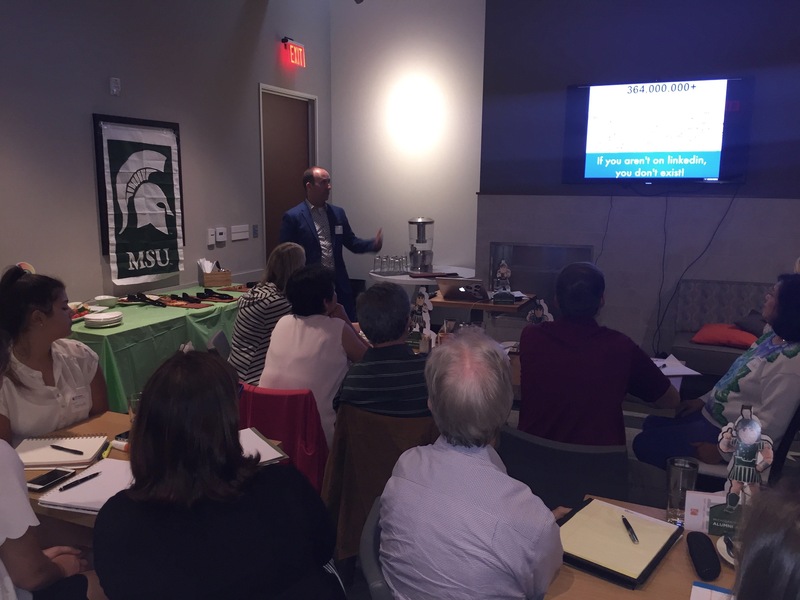 In April, I conducted a Linked workshop on behalf of Michigan State University Los Angeles Spartans. 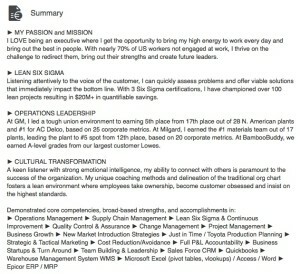 Here’s the MSU Linkedin slides on slideshare. 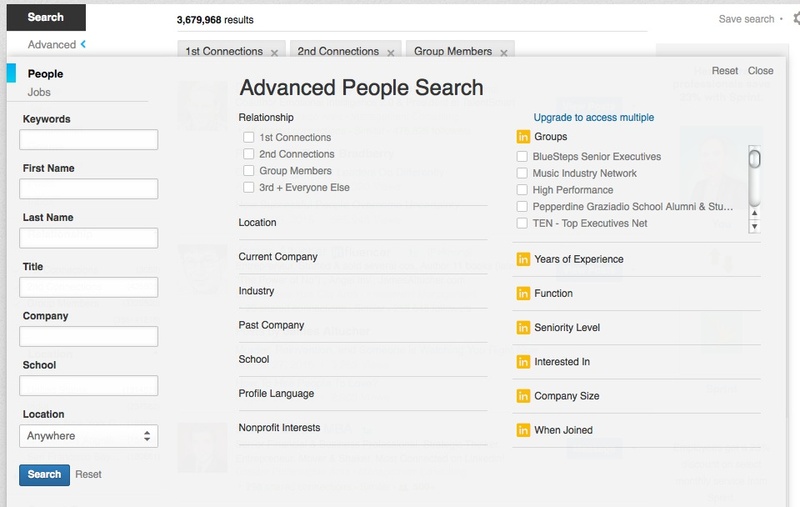 Before we get started, to edit anything on your profile, click Profile >> Edit Profile in LinkedIn’s top navigation. From there, hover over any section and click the pencil to edit. Your photo is the first thing people typically see in your profile, so ensure you have a polished, high-quality photo. If you can’t afford a photographer, then take a photo against a white wall and crop it so it focuses on your neck and above. Be sure to smile and be authentic! I would always err on the professional side of over-dressing than being under dressed. 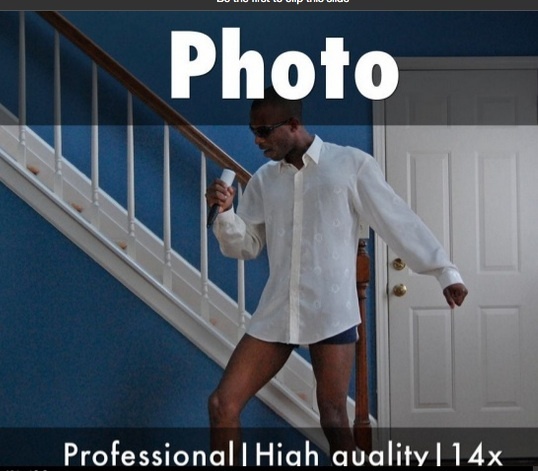 Having a photo increases the likelihood of you being viewed by 14x. 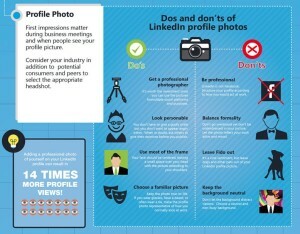 Linkedin also allows you to edit your background image, which covers the top header of the profile. It is usually hard to find a photo that will fit the frame easily (1400 x 425 pixels), so I encourage you to hire a graphic designer or use canva.com – a free app for doing graphics. Choose a brilliant tagline or utilize a set of keywords that represents your top 3 strengths or industry disciplines. An example of a tagline that got my attention was “Coolest guy in Nashville… don’t believe me, google it.” When I did google him, it led me to his website where he is an expert in SEO. Boom! 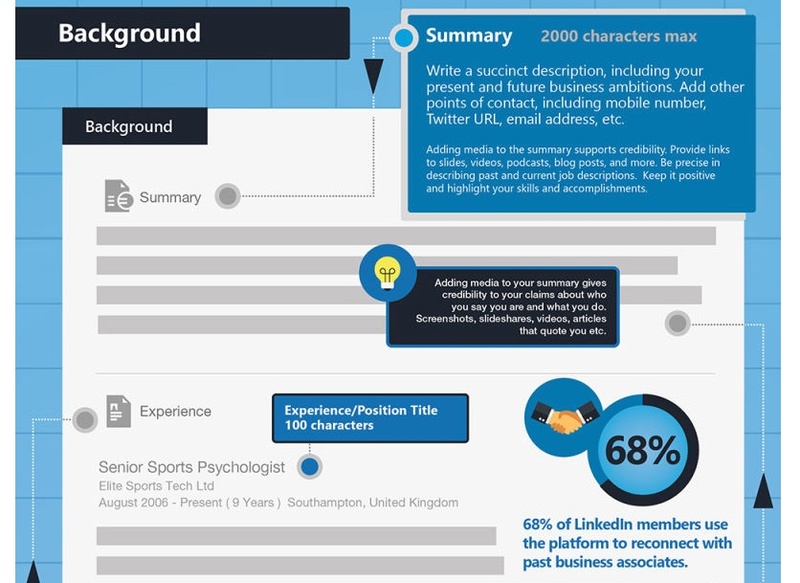 I chose to go the route of relevant keywords, as I heard Linkedin’s algorithm favors this. First names get 20 characters, last names get 40 and headlines gets 120. Characters include spaces! The summary section is where you have the opportunity to use 2000 characters to sell your unique value proposition. Hiring managers want to know what value you bring and what you can do for them that other candidates cannot. 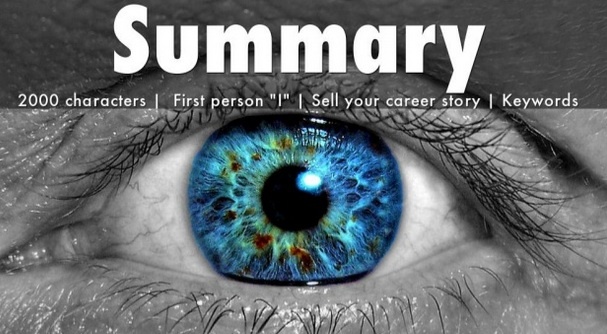 Tell your career story in your own voice and make it compelling, consistent and powerful. Don’t be afraid to show some personality. Try to avoid big chunks of information and spread it out. Keywords should be rich in this section, as the algorithm is calculating your relevancy. 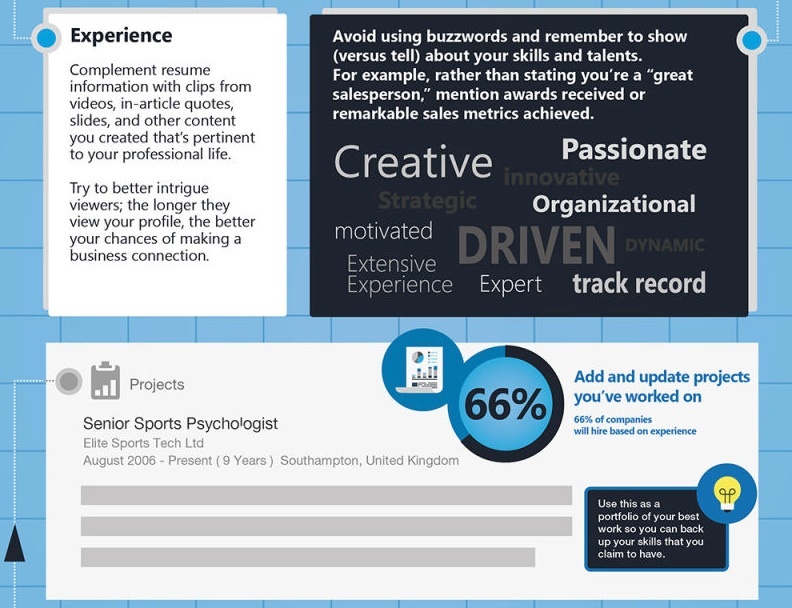 The experience section can essentially be ported over from your resume, which makes it one of the easier sections to fill out. Nonetheless, you need to ensure that you are quantifying results – ie. 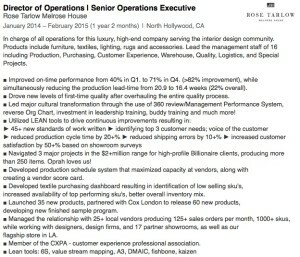 Increased sales 35%… Reduced defects by 14%… etc. Next, you need to ensure you use strong verb tenses – ie. Bolstered, Created, Designed, Leveraged, Led, Instituted, etc. Once again, ensure you have relevant keywords and utilize all the 2000 characters available. Don’t be afraid to use different style bullet points to stand out a little bit. 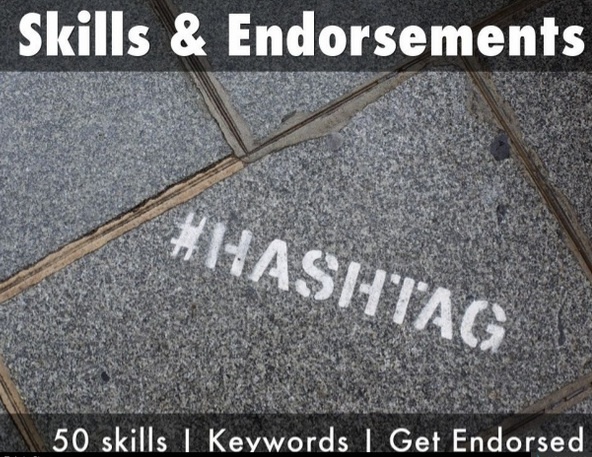 The skills endorsements section allows you the opportunity to highlight 50 skills, which are essentially keywords. Your goal is to get people who can validate these skills and increase them, although the maximum that will show is 99+. 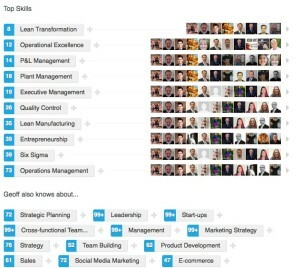 You can also rearrange your skills so if you wanted lower endorsed ones to be moved to the top, you could do that. The reason is that people typically just click on the top ones listed and you lose out on the ones hidden down below. BREAKING NEWS: The reality is that open networkers have exchanged endorsements for endorsements, which makes the skills section lose its integrity and most hiring managers know this. Nonetheless, continue to get endorsements genuinely from people you know. This section is super important because it is a powerful validation from those who have worked with you; who can speak to your strengths and talents. 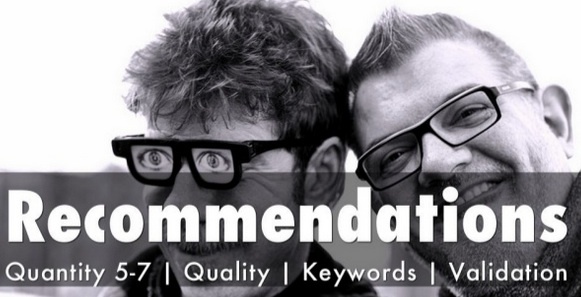 You typically want 5-7 really strong recommendations, but I would encourage you to maximize it, so long as they are well-written and play to your strengths. You can always later turn certain ones off so they don’t show. 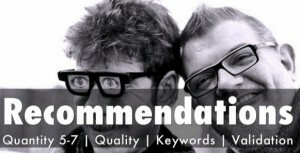 Avoid exchanging a recommendation for a recommendation with others; it looks bad. The best ones are from those that you reported to or higher ups, such as the CEO/CFO/COO or director level. Try to keep a ratio of 1:4 – you give 1 for every 4 you receive. 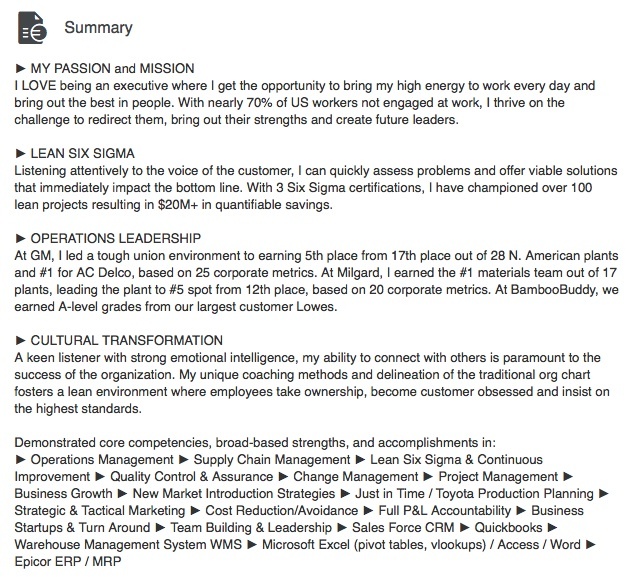 I would encourage you to have the person type out the recommendation in a word document first, as it gives you an opportunity to critique it prior to pushing it through Linkedin’s system. I have worked very hard to get my 45+ recommendations. Below is an example from a former CEO, I reported to. Basic section pulled from your resume. It also gives you the opportunity to share activities or groups you were involved with during your time at school. You have the opportunity to choose up to 50 groups. I would definitely start with alumni groups, industry groups and others that are relevant to your position. Social media is about engagement, so take advantage of having conversations with others to increase the intelligence of the discussion. Also, strive to be known as an expert… but don’t over do it by commenting on every single thing; quality over quantity. Before you decide to open yourself up to open networking, I would encourage you to think about what it is exactly that you want to do with your network. Some like to keep their network small and connected to only those that they have truly met while others are open to networking with anyone, anywhere in the world. The LION groups are dedicated to openly exchanging their emails with anyone so that everyone can bypass the system without having to either be introduced or say “we’ve done business together” or any other way of traditionally connecting with someone. Having someone’s email allows you to enter it and instantly connect with them. The bad side of open networking from my experience with it over the past 8 weeks is the amount of spam that I get to my email now. If you think about it, you are basically giving your email out, any any hacker could capture those emails and then sell it to companies to target spam you. It happens all the time, even outside of Linkedin. The good side is that you get to expand your network and increase your business contacts. Think about into the future when you lose your job and need to find a new one – hit up your network! Think about a new product you are releasing or maybe you are launching a new book – hit up your network to increase exposure! Also, having more followers who are endorsing your skills helps increase you in the search rankings. Some of the biggest LION’s have 75,000+ connections. With a premium subscription, you can get extra features such as the ability to see how you rank against professionals like yourself. As you can see from mine, I rank in the top 2%. While I’m not sure how Linkedin chooses exactly how these other professionals are like me, I do know they all have similar keywords as mine and most are at the executive level. Even without a premium subscription, you can see your activity for a specific time period. Go to “profile” then to “whose viewed your profile”. You can drill down to see which viewers, what their titles are, etc. This is an awesome feature to mine the data down to specifics. A great example for me is moving from Michigan to California, having attended Michigan State University. I can filter down from the 5000+ people in Los Angeles who went to MSU. Let’s say I wanted to filter down to who works at Disney, in my search I would find 12 people. 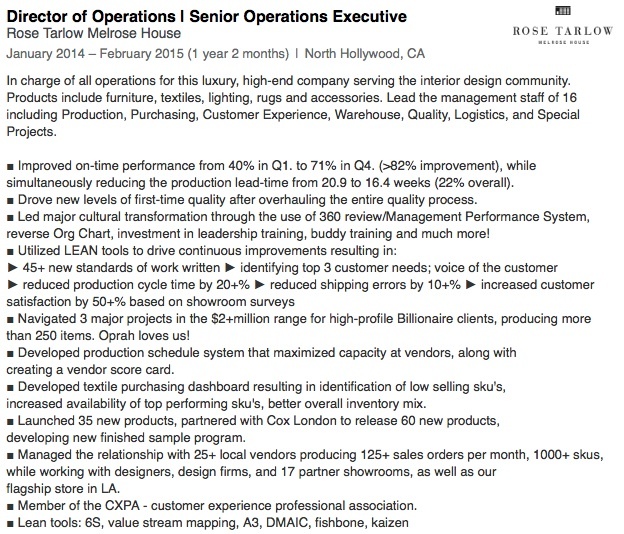 That’s 12 people I could reach out to in hopes of landing a job; especially because some of them are executives! Customize your URL by clicking here and modifying your public profile URL on the right-hand side. I also encourage you to put your URL on your resume. What is a 1st level connection? 2nd level connection? 3rd level connection? 2nd-degree – People who are connected to your 1st-degree connections. You’ll see a 2nd degree icon next to their name in search results and on their profile. You can send them an invitation by clicking Connect or contact them through an InMail. Fellow members of your LinkedIn Groups – These people are considered part of your network because you’re members of the same group. You’ll see a Group icon next to their name in search results and on their profile. You can contact them by sending a message on LinkedIn or through the group. How do I add someone I don’t know? Click “connect”. You have options to choose such as 1. Colleague 2. Classmate 3. We’ve done business together 4. Friend 5. Other. I would recommend you get introduced by someone that you might have in common. If that opportunity is not available, then send a direct message to the person with the inmail service. If they are a LION, then they will provide the email on their profile. Choose “friend” option and enter their email. I always recommend you personalize all messages and let people know why you want to add them to your network. What’s the best way to connect with someone at a company I would like to work for? I would start by finding people in similar roles at the company and directly reach out to them. Keep the message simple but be yourself in letting them know what your intention is. I have found that most people are willing to help. Once you have a few people at the company in your network and have established a relationship, then proceed with adding the hiring managers. It will always help if you know someone within the company whose name you can throw out there. How do I find out how many connections someone has? Go to their profile and click View Recent Activity from the dropdown, next to “Endorse”. Look to the top right and you will see how many connections they have. Strategically placed, the right keywords elevate your search rankings in LinkedIn’s search engine, increasing your profile’s Search Engine Optimization (SEO) and the likelihood you’ll be found and considered by them. Key spots for keywords are the name field, headline and job titles.